I’ve wanted to try a Natasha Denona Eyeshadow Palette for the longest time, since they became super popular in 2015 with some YouTubers describing them as being the ‘best eyeshadows in the world‘. There’s no denying, it’s a pretty bold claim but I’m yet to read a negative review of any of the Natasha Denona Eyeshadow Palettes so I knew I needed to try one for myself. Eyeshadow palettes are my weakness for sure. 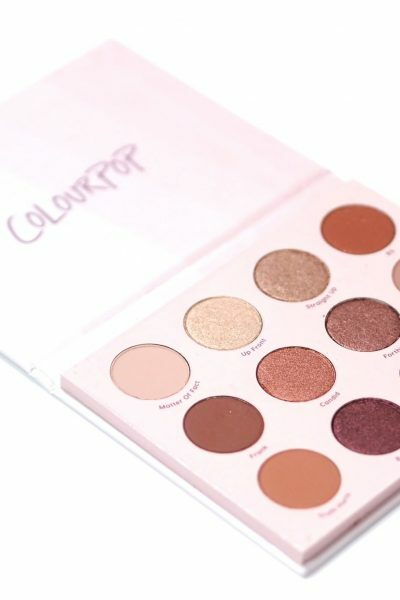 You can keep your shoes and handbags, I’m all about the palettes especially if they’re super hyped and loved so when Cult Beauty announced they were launching Natasha Denona on site, I felt like it was time to finally purchase one. I did want one of the big 28 pan palettes but I felt like they were a risky investment at £205 without ever trying them, so I chose one of the Natasha Denona Eyeshadow Palette 5 palettes which are £41 each. I chose the Natasha Denona Eyeshadow Palette 08 although I have to admit, it wasn’t my top choice. I really wanted the 09 palette but it’s sold out everywhere and for good reason too – it’s a stunning collection of khaki greens. I thought 08 was a good choice as the shades were ones I’d get a lot of use out of, as I didn’t want to spend £41 on a palette I’d use very occasionally. The Natasha Denona Eyeshadow Palette 5 is a collection of five pan palettes with nine different versions, although there are more versions available on the Natasha Denona website. There’s no denying, the Natasha Denona Palettes are pricey but you need to consider how much product you’re getting. For example the Charlotte Tilbury quads are £39 for four eyeshadows weighing 1.3g each, whereas the Natasha Denona Eyeshadow Palette 5 contains five eyeshadows weighing 2.5g each – almost double the amount of product for £2 more. 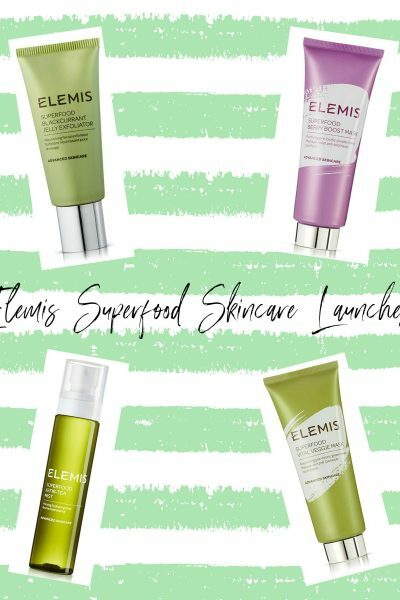 You are getting a serious amount of product for the money which matters more to me than packaging. 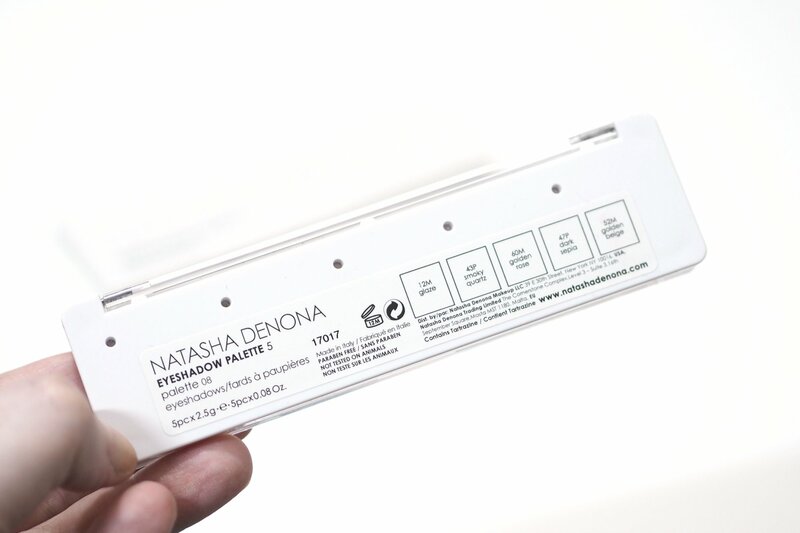 The Natasha Denona five pan palettes are quite simple in their design, white plastic base and a clear lid. There’s no luxurious rose gold detailing, but it’s functional and doesn’t give you masses of excess packaging. On the back of the palette, the shades are individually named with numbers too. The shadows are paraben free and not tested on animals. I feel like I’m pretty harsh when it comes to eyeshadows so I really wanted to find reasons not to love these shadows as I didn’t want to want more but I can’t lie.. I love these shadows. 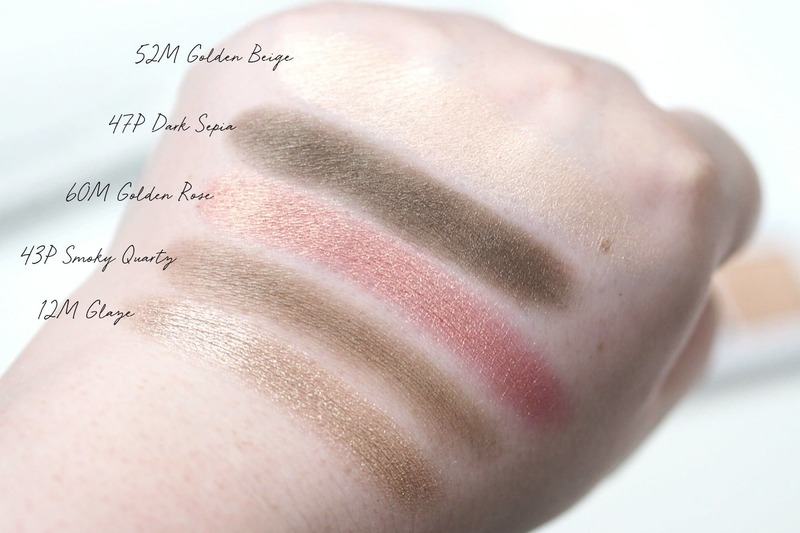 The pigmentation is insane, they have the creamiest, smoothest consistency which stretches forever when swatching. The stars of the palette are without a double the ‘M’ metallic shadows; 12M Glaze, 60M Golden Rose and 52M Golden Beige (shade 1, 3 and 5), but 43P and 47P are exceptional satins too. I really like that this palette has khaki tones in 12M and 47P, with 43P being a dark brown, 60M a duochrome pinky gold and 52M a peachy gold duochrome. The shadows are so intense and feel as if they have a cream base to make them so pigmented and creamy smooth. 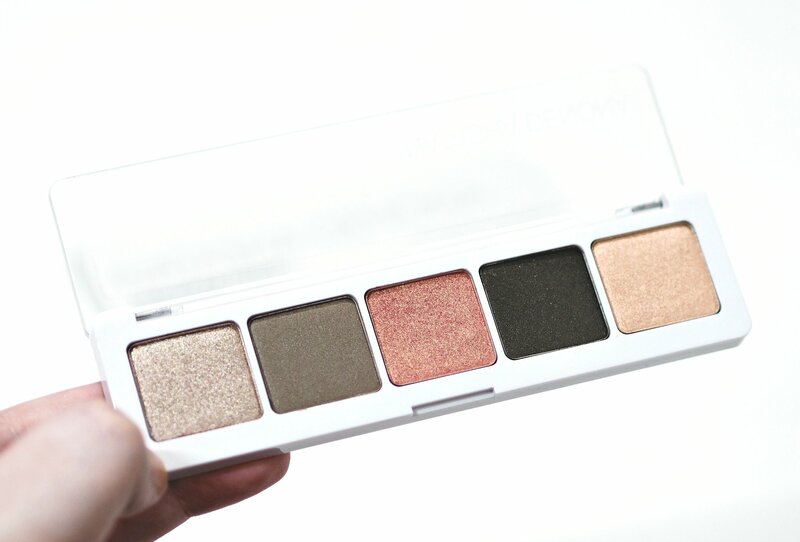 This will not be my last Natasha Denona Eyeshadow Palette – I love Palette 08 so much, and I definitely need to add the Green Brown 28 pan palette to my collection now I know the formula is as amazing as everyone claims. Have you tried any of the Natasha Denona Eyeshadows before?